You will need a general anaesthetic, and will be lying on your stomach for the operation. The surgery is done through either a 10-15cm transverse (sideways) or longitudinal (lengthwise) incision over the buttock crease. The main (sciatic) nerve sits next to the hamstrings, so must be found and protected. The torn tendons are then reattached to the bone using suture anchors, which sit inside the bone. The skin is closed with a dissolving stitch. The operation takes 90 minutes and you will be away from the ward for 2-3 hours. You will be kept comfortable on the ward with medication. If a nerve block was used your leg may be numb for 24 hours. You may have a brace on your leg to prevent overstretch and damage to the tendon repair. The physic will instruct you regarding the brace. The physic will also help you with advice to assist with reducing sitting discomfort following surgery. Gradually progress off crutches in next 2 weeks and can stop using brace at 4 weeks. Gentle hip bending exercises, calf stretching, Isometric I hamstring holds, modified squats (similar to sit to stand action), exercise bike can start as comfort allows. The physio will demonstrate and provide the rehabilitation details at the 10-14 day follow-up appointment and ensure these are done correctly and safely. Due to the location of the tendon repair and wound, sitting may be painful for up to 4-6 weeks. Some discomfort on prolonged sitting may persist for 6 months. The first priority is to ensure wound healing. The incision for the proximal repair is directly at the base of your buttock and will take 2-3 weeks to heal well. In the first 1-2 weeks it is important to avoid continual pressure on this scar to allow better healing. To help reduce this pressure you can discuss with the physio the use of a foam cushion for use with sitting. After surgery, all patients will have some local numbness around the scar. The main (sciatic) nerve to the leg runs very close to the hamstrings, and can be trapped in scar tissue. It needs to be found and moved out of the way during surgery, and is at risk of being bruised or sensitised. Symptoms may include numbness in the leg and foot, and some weakness. In most cases this is temporary and recovers by itself. If you do a seated office-type job, work will be possible between 2-4 weeks following surgery. If you do a more physical job, light duties are possible at 4-6 weeks but this needs to be discussed on a case by case basis with the surgeon and physio. With adherence to rehabilitation guidelines from your surgeon/physiotherapist, re-injury should not occur. Squeeze quads (front of thigh) lightly - hold 10 secs x 5 Knee remains in brace and don't straighten knee out yet. Lying flat, slide your heel up and down as you bend and straighten your knee. Don't bring hip past 60 degrees for first 5 days. Lying on your stomach allows the wound to have some time without the pressure of your body pressing down on it. Aim for 20-30 minutes of this every 2 hours while wound remains very sensitive. Aim to walk for 5-10 minutes every 2 hours to keep upper body mobile and reduce back stiffness. Gradually progress weight through leg after first 10-14 days. 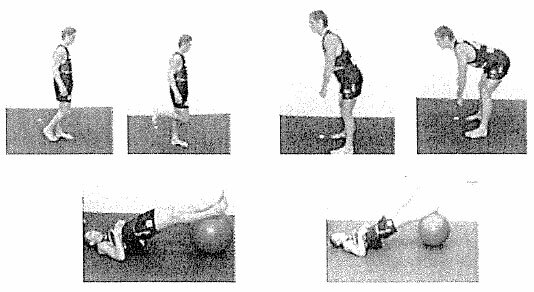 The exercises below are only an example of some of the exercises required to complete your rehabilitation but will require a physio to go through them carefully with you depending on the stage of your rehab. The physio will circle and date when you are ready for these. 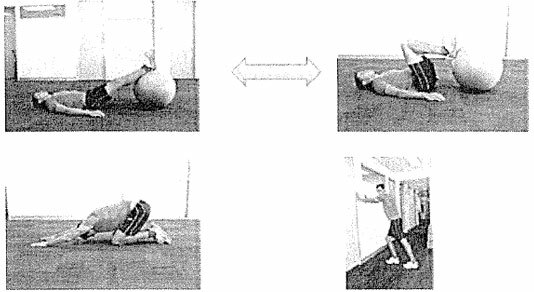 There will be many types of exercises required to improve the stretch and strength in the hamstring over the coming weeks. Ensure to work closely with your physio following this surgery to ensure individualised progressions.